Last Saturday, we drove out, clueless of where we were heading. It happens all the time. Like I would ask the hubby "So where are we going? ", because it matters how I dress up the kids and what I put in the diaper bag if we go to the pool or go to the zoo, his reply would usually be "I don't know." I kind of like the excitement though. Of not knowing where the road brings us. Of guessing what lies ahead. Of anticipating what sights I will see and scents I will smell for the rest of the day. Yes, we are a family without a plan. Some people dread it, we kind of live it. Halfway through lunch, a heavy downpour started. 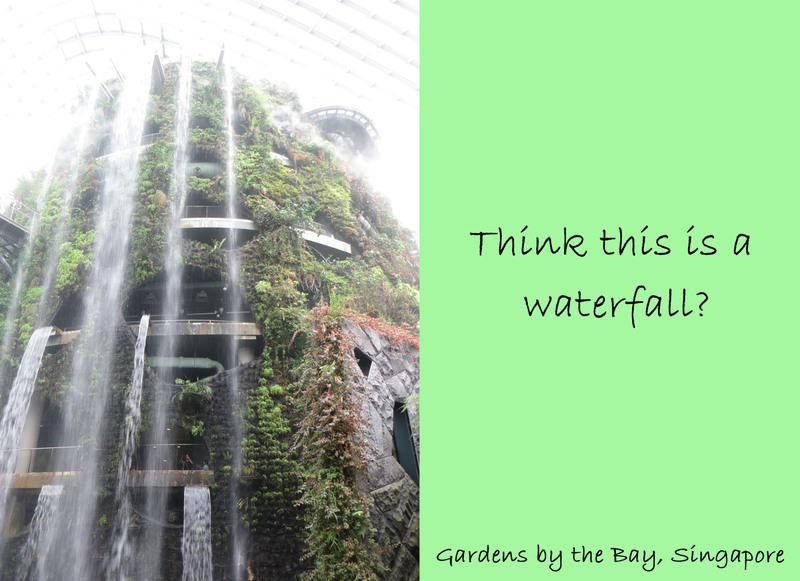 In spite of that, the hubby said, "Shall we go to Gardens by the Bay?" Weird idea for a rainy day, but I said "Yes" enthusiastically anyway. A new adventure, why not? And so, we arrived. With gloomy clouds lurking in the sky, cold winds brushing our skins, raindrops splattering on the ground and smiles on our faces. I finally see how the supertrees look like up close. Well, though they would definitely be more dazzling at night, it was yet another sight to see them in the rain. Of course, having a preschooler and 2-month-old infant with us meant that we pretty much had to stick to indoor places. 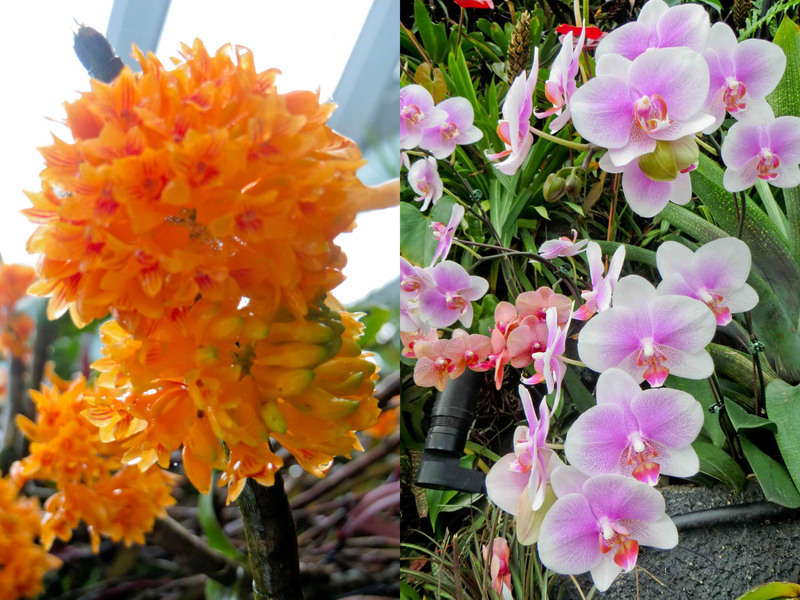 So we dedicated the afternoon to exploring the Cloud Forest and Flower Dome. We heard that there was going to be a waterfall in Cloud Forest and this was what greeted us at first sight. It is supposedly the world’s tallest indoor waterfall (why am I not surprised? 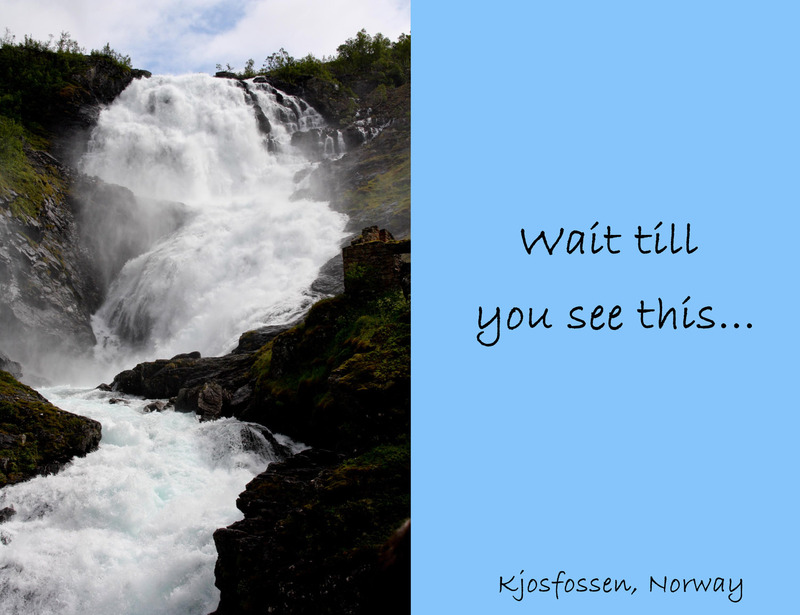 ), but perhaps it is the fact that the waterfall is man-made or that we had witnessed the unparalleled beauty of waterfalls in Iceland and Norway, we simply took a glance and went on our way. Cloud Forest is a 35-metre tall mountain covered in lush vegetation and showcases plant life from tropical highlands. 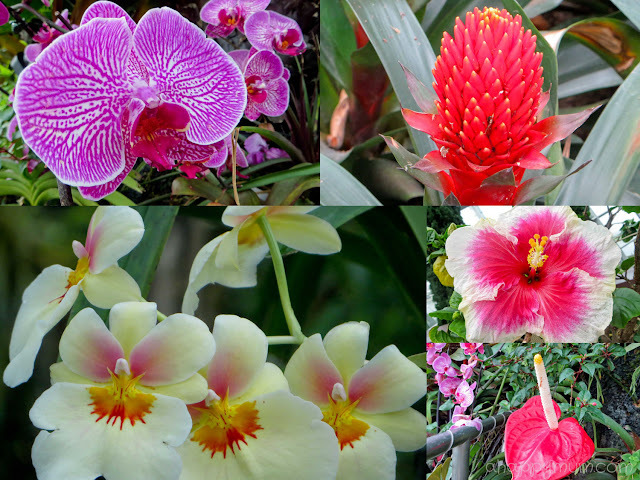 It is covered in mist and densely planted with orchids, ferns, begonias, pitcher plants and so on. Angel was fascinated by the pitcher plant and so we stopped to tell her a little more about it. Did you know? The Pitcher Plant's cup-shaped leaves attract, kill and digest insects and small animals that venture within. 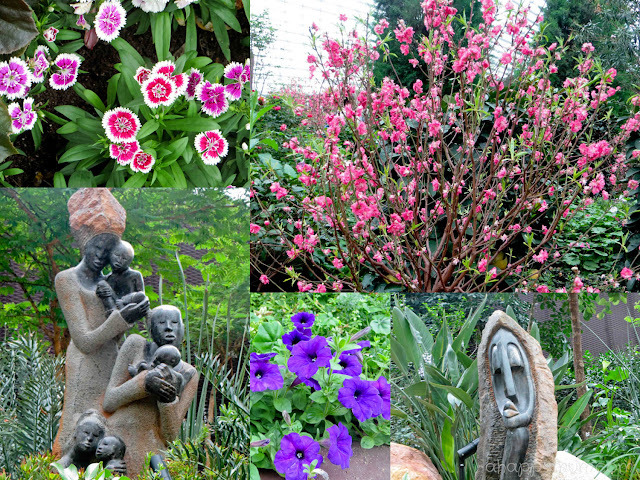 I have to say that it makes a perfect place for plant enthusiasts or those keen in flower photography. You could probably spend up to hours in this place alone trying to capture the beauty of each and every one of them. 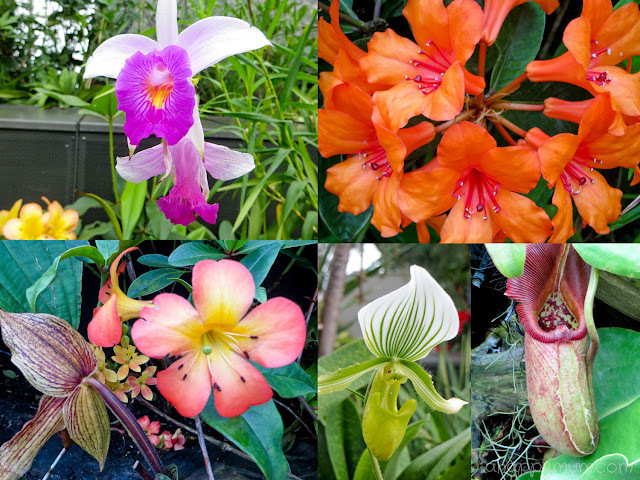 Well, I have to admit that we are far from plant enthusiasts and we are not really into photography too. The hubby, myself and even Angel much prefer living things that move, or have fur or horns, can howl, can growl and can roar. Yes ok, I meant animals. So I guess while we did not hesitate to become Friends of the Zoo, we will probably not become Friends of the Garden. Along the way, Angel was asking "Mummy, what are we looking at?" or "Daddy, where are the animals?" So we decided to do a little hunt for some animals and not bad, we found these cute looking snails. Wait a minute, hello, we are here to see flowers and plants, remember? Since we bought the ticket that allowed us to enter both Cloud Forest and Flower Dome, of course we had to pay the latter a visit too. The Flower Dome replicates the cool-dry climate of Mediterranean regions like South Africa, California and parts of Spain and Italy and allows visitors to discover plants and flowers from different corners of the globe. I took a walk in the Flower Field display with Ariel while Angel decided to play hide and seek with Daddy amongst the shrubs. There's something about a bed of roses that brightens up my day even though I'm not a flower lover. 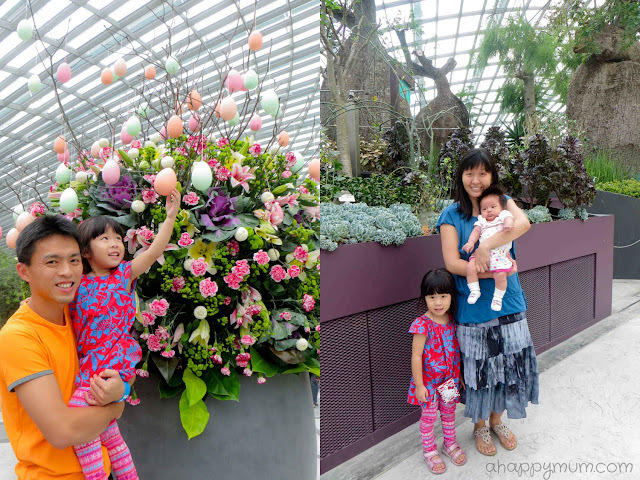 At the succulent plant area, Angel decided to take charge of the camera and began snapping away at everything she saw, even signboards, walls and ah-hem the floor. But this was quite a good shot of us that she took, right? Good morning, Baby Ariel! You are finally awake! Just in time for some photo-taking before the day ended. As pretty and captivating as all the flowers might be, none of them is as beautiful as you in Mummy's eyes. you know? All in all, it was a happy family day out and we did not regret coming here at all. It's another been there, done that thing for us and well, at least we have now set foot in the World Building of the Year 2012! Do you like flowers and plants? 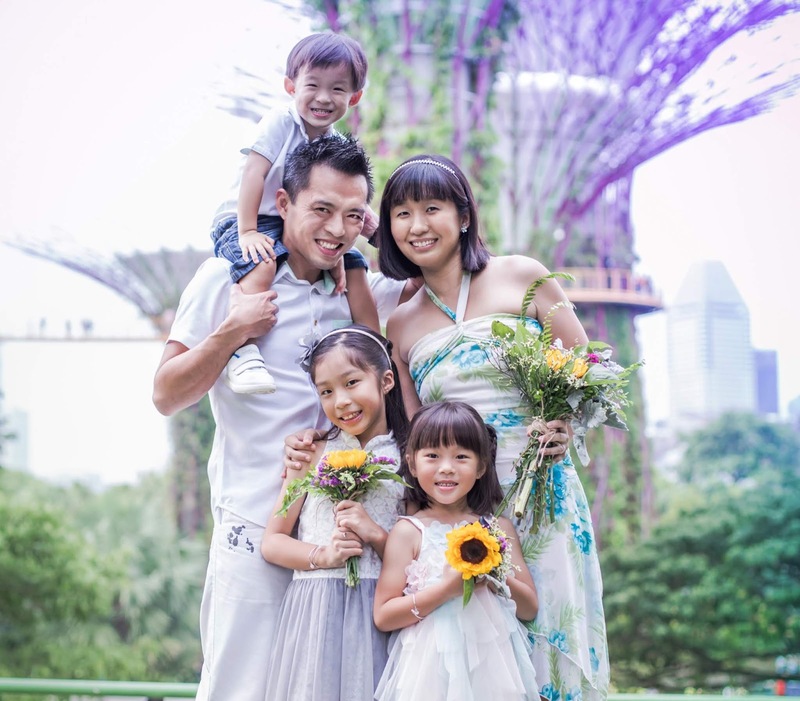 For opening hours, ticket pricing and more information about the Cloud Forest and Flower Dome, visit the official website of Gardens by the Bay. P/S: Coming up soon, the long-awaited post of our trip to Norway during the last summer holidays. Yes, better late than never! Stay tuned for some awe-inspiring pics and admire the beauty of nature! Haha not that shocked, there are many places in sg we have yet to explore too. Hee. One by one, i am sure you will cover them someday! Thanks for popping by, Ai! Haha maybe you are not a flower lover too! Consider this for a rainy day yeah! Thanks for reading! We didn't enter the dome though. 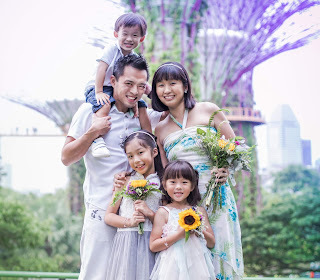 The flowers look so lovely and colourful, i guess we will bring our kids there the next time. But we like the outdoor gardens. Lots of space for the kids to run around! Anyway, wanted to say that I enjoyed reading through some of your blog posts. Hi Ing, thanks lots for the sweet comment and glad you like reading my stories. I would think my girl will prefer the outdoor gardens too, but alas for the rain. There's always a next time though. What is your blog link? We can keep in touch! Sure, we can definitely keep in touch. :) I've just followed you on twitter too! How beautiful! I'm so glad you were able to spend some time there. I would love to see it myself someday. Thank you for all the beautiful pictures. Hey Summer *Waves*, thanks for popping by over at my blog! Not sure if you got my reply coz i hardly have comments prior to SMB so haha, just making sure! Anywayz, u n ur hub sure have an interesting way of "planning" or not planning your day..somewhat like my hub, but it drives me insane!